Universal Water Damage Indicator Sticker - 2,5mm/100pcs is a self-adhesive labels used to identify contact with liquids. At the moment of contact with the liquid, the indicator irreversibly changes color to red. The product helps in determining warranty that the equipment was flooded. 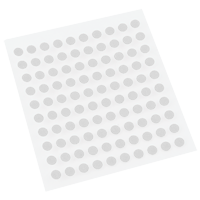 Universal Water Damage Indicator Sticker - 2mm/100pcs is a self-adhesive labels used to identify contact with liquids. At the moment of contact with the liquid, the indicator irreversibly changes color to red. The product helps in determining warranty that the equipment was flooded. 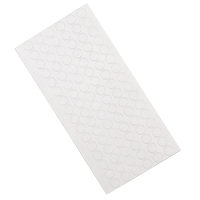 Universal Water Damage Indicator Sticker - 3mm/100pcs is a self-adhesive labels used to identify contact with liquids. At the moment of contact with the liquid, the indicator irreversibly changes color to red. The product helps in determining warranty that the equipment was flooded. 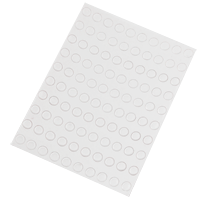 Universal Water Damage Indicator Sticker - 5mm/96pcs is a self-adhesive labels used to identify contact with liquids. At the moment of contact with the liquid, the indicator irreversibly changes color to red. The product helps in determining warranty that the equipment was flooded.